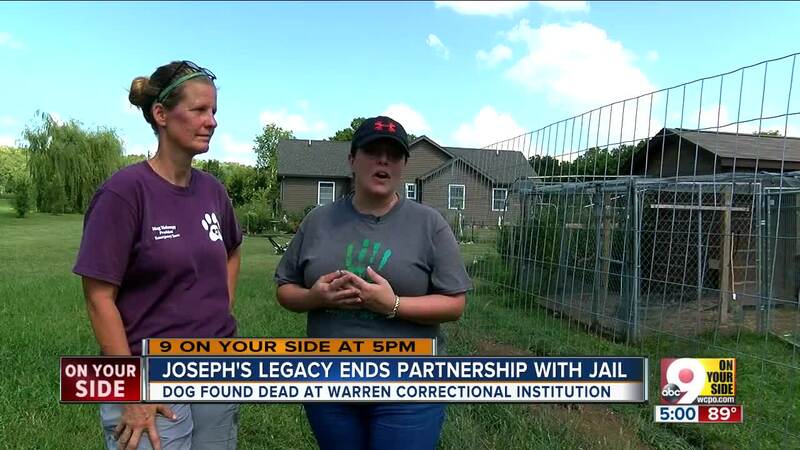 Joseph's Legacy animal rescue announced Monday it would end an animal-assisted inmate rehabilitation program at Warren Correctional Institution following the blunt force trauma death of a participating rescue dog. "Evie was an extremely sweet dog who had so much more life, happy moments and years ahead of her," the organization wrote on its Facebook page. "Our volunteers are hurting so deeply."